Wow! It’s been a while since I posted something to my blog. You see, I’ve been a bit busy. 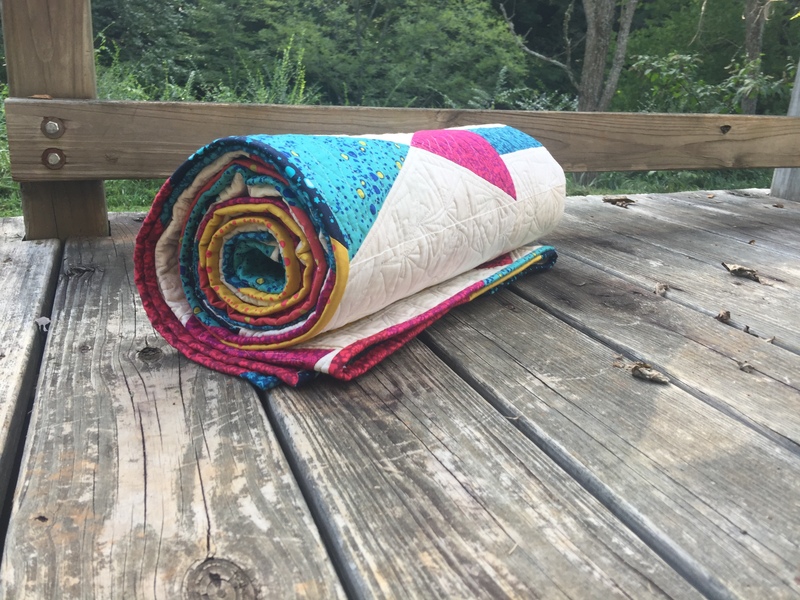 I bought a quilt shop! It’s not very often someone can say their dream came true. But mine really did. And I am loving it!!! But it is also a lot of work. My shop is named A Stitch in Time and located in the mountains of Western NC. Here is a link to my website if you’re interested in checking it out. 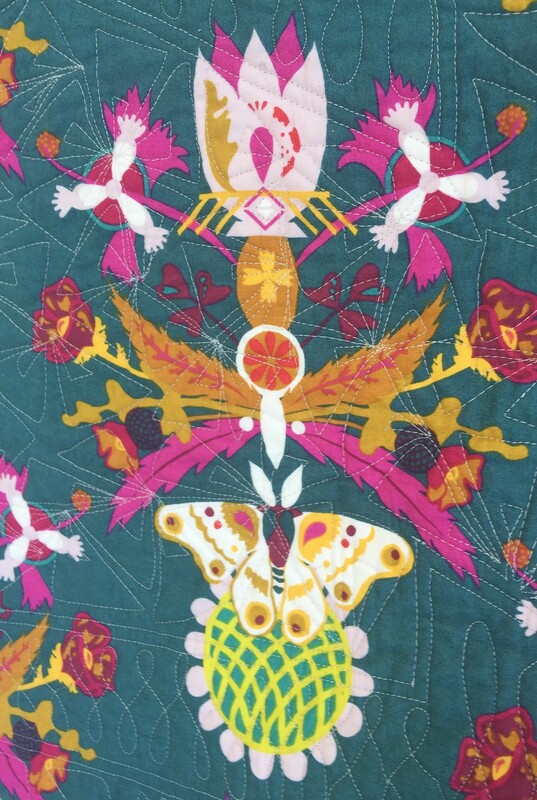 I recently designed a quilt for the bison panel of the Call of the Wild digital collection by Hoffman Fabrics. And it is exclusive to me. You won’t find it anywhere else. The pattern can be found here, and the kit is here. Or if you just want the bison panel, it is available here. 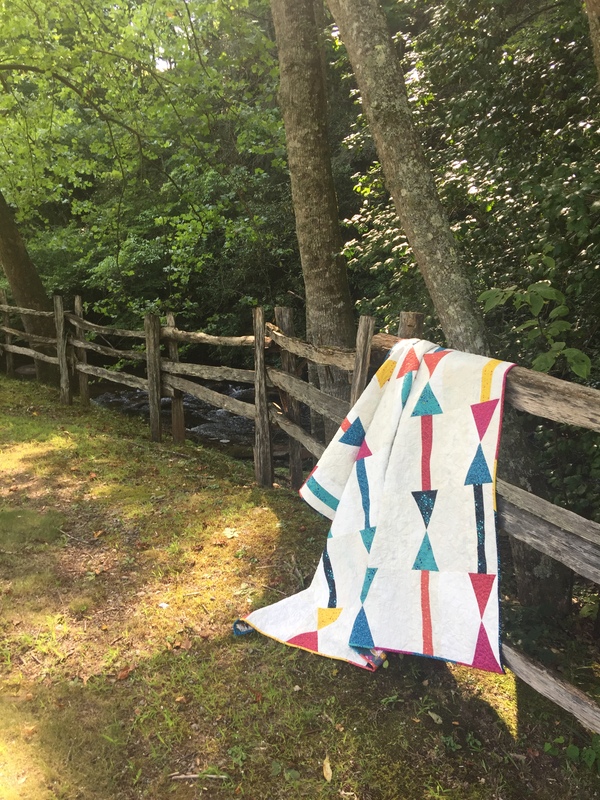 It’s a simple paper pieced pattern, so I thought I would include a tutorial here for those not real comfortable with paper piecing. This is the block I am going to demonstrate for the tutorial. It has an A part and a B part. I am going to make the B part here. 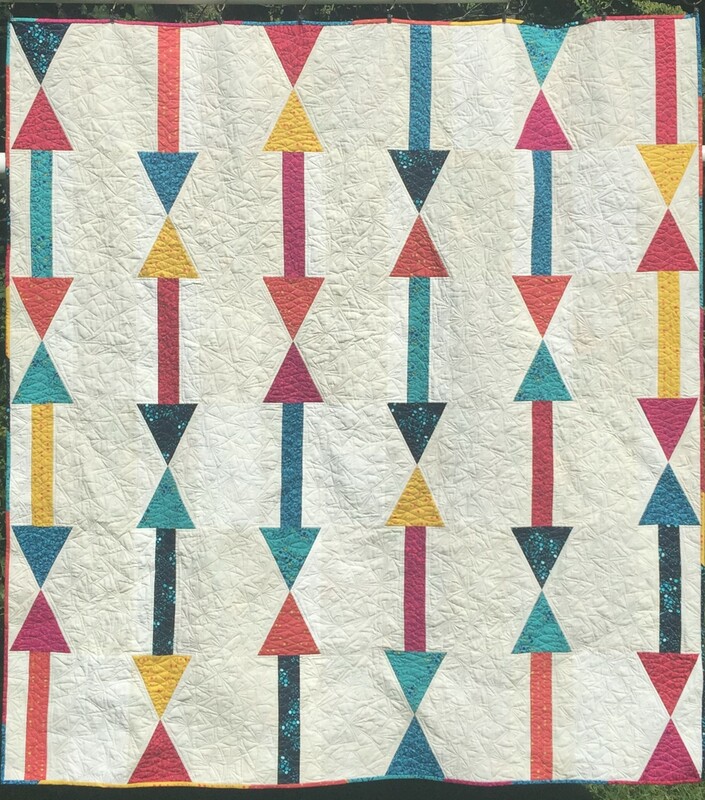 Cut out all the foundation paper patterns for the quilt top. Note that E is spread over two pages so you’ll have to match and glue the two pieces together. Cut out all templates and fabric. Here is foundation pattern B and fabric for each B template. Start with piece B1. Remaining pieces are in order… B2, B3, B4, etc. Notice where piece B1 goes on the foundation pattern. 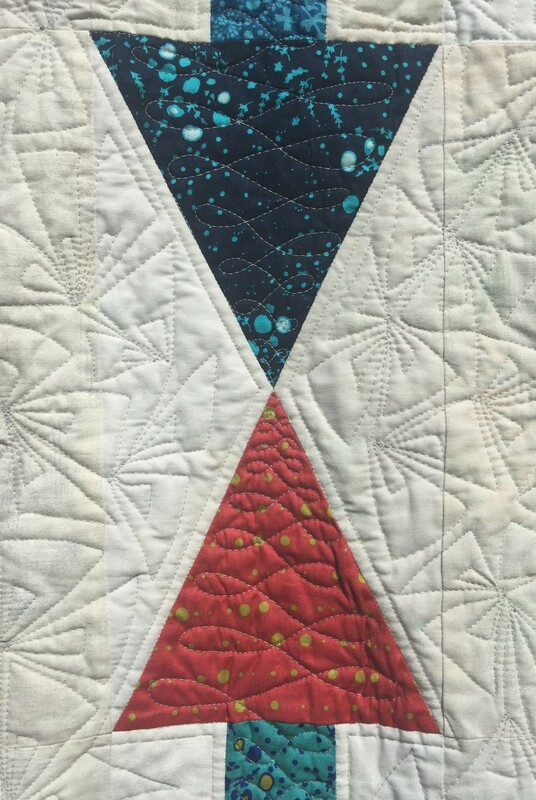 Flip the foundation pattern over, and center fabric piece B1 where it belongs. Fabric piece B1 should be face up, and the lines on the paper should be face down. Hold fabric and paper up to the light to make sure the fabric covers the pattern with an approximate 1/4″ overage all the way around. You may want to either glue or pin the piece in place. Using an add-a-quarter ruler trim off any excess. I had very little to trim in this photo. stitch on the line between B1 and B2. 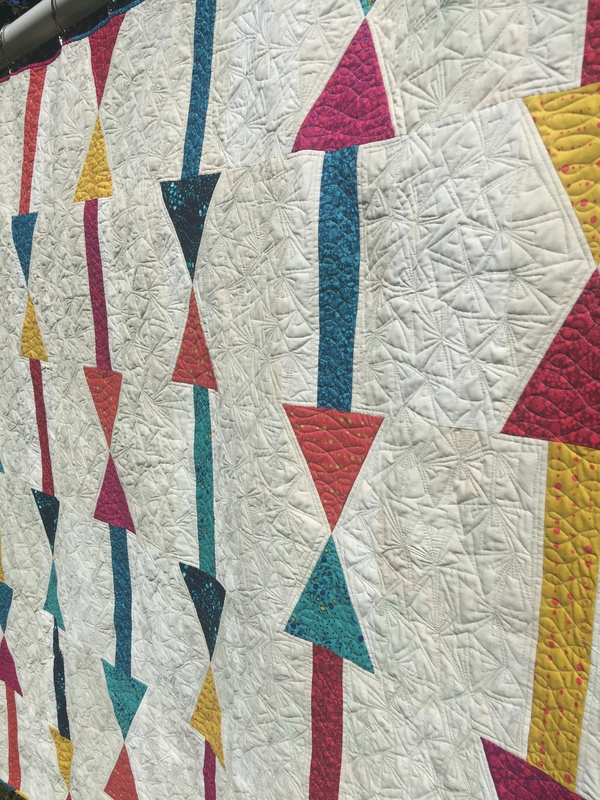 Be sure to start and stop stitching 1/4″ before and after the line. This is the fabric side of the block once B1 & B2 are sewn together. Flip up piece B2 and press. If you want to make sure you did it right, hold up to light and make sure piece B2 covers the area with approximate 1/4″ overage all the way around. stitch on the line between B1 and B3. Be sure to start and stop stitching 1/4″ before and after the line. Using a straight edge, fold paper on line between B1/B2/B3 & B4. Trim excess using add-a-quarter ruler. Align B4, right sides together, with trimmed edge of B1/B2/B3. This is quite a large piece, so I decided to pin before flipping over to stitch. Flip paper over and stitch along line, being sure to start and stop sewing 1/4″ on each end of the line. Fold back paper between B4 & B5 and trim using add-a-quarter ruler. Align B5, right sides together, with trimmed edge of B4. Stitch on line between B4 & B5, being sure to start and stop sewing 1/4″ on each end of the line. Stitch along line, being sure to start and stop sewing 1/4″ on each end of the line. Line up B7 along trimmed edge, right sides together, and stitch along line, being sure to start and stop sewing 1/4″ on each end of the line. Place A & B right sides together. Open and press. Congratulations. You have made a paper pieced block. Now, complete the rest of the blocks in the same manner. For my quilt, you need 20 of the blocks above, and 4 corner units. The 4 corner units are made in the same way. They have 3 parts. Just take it one step at a time to complete each part, and then join the parts together. 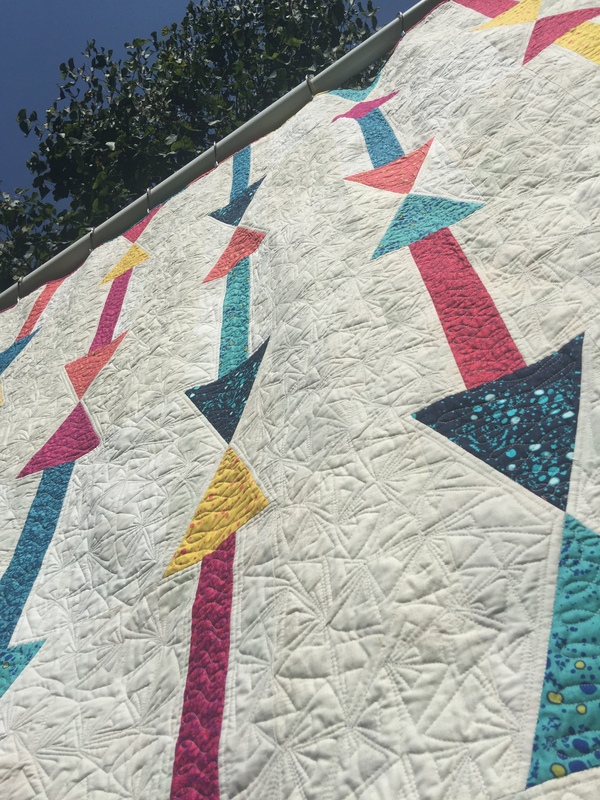 The paper is removed from the back of each block once the quilt top is completed.